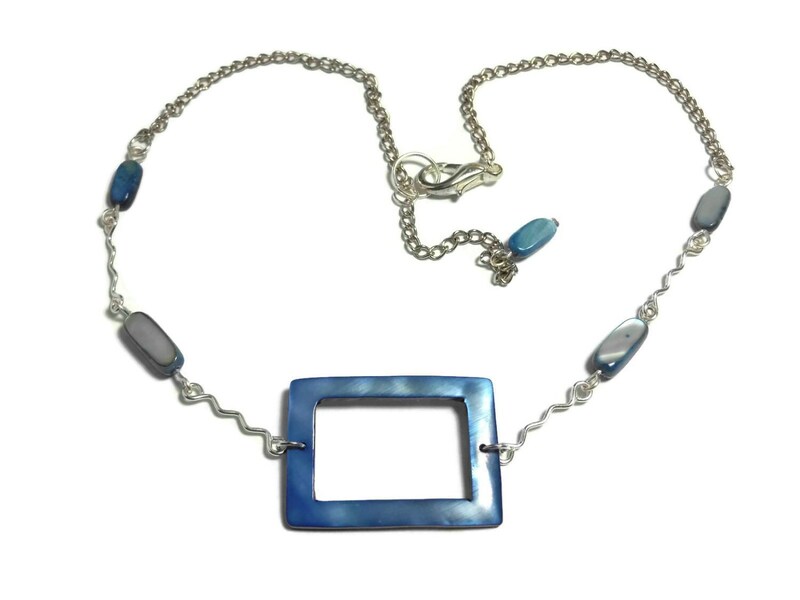 Denim blue MOP necklace, mother of pearl necklace choker, rectangular center piece, MOP beads & wavy connectors, all metals silver plated. 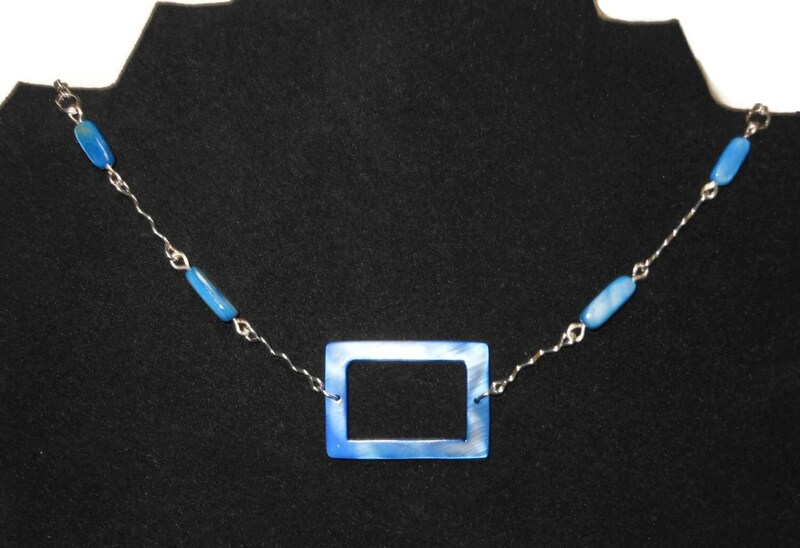 Great to dress up or dress down, wear as a choker or a necklace! 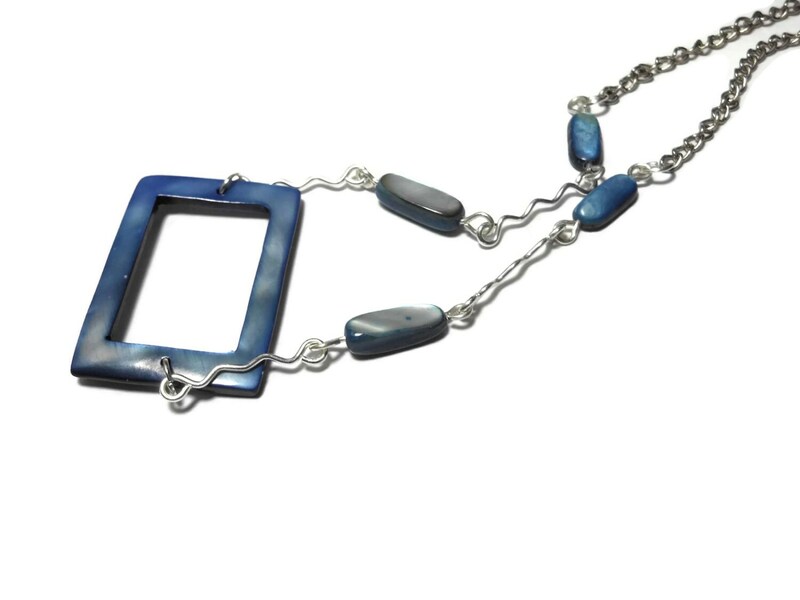 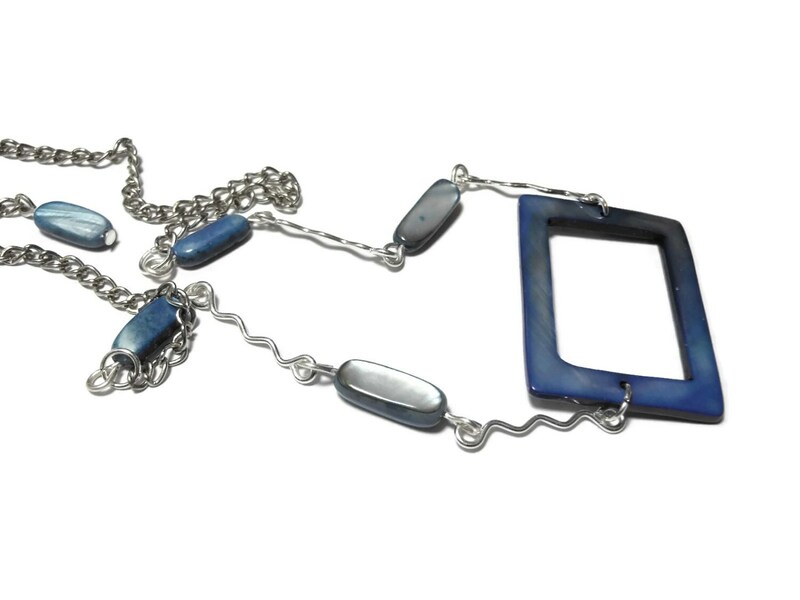 The necklace measures 16" (40.6 cm) without the clasp and has a 2" (5.1 cm) extender.